For those of you who don't think Conner is growing up fast - as if there is anyone with that thought, this should eliminate the doubt. 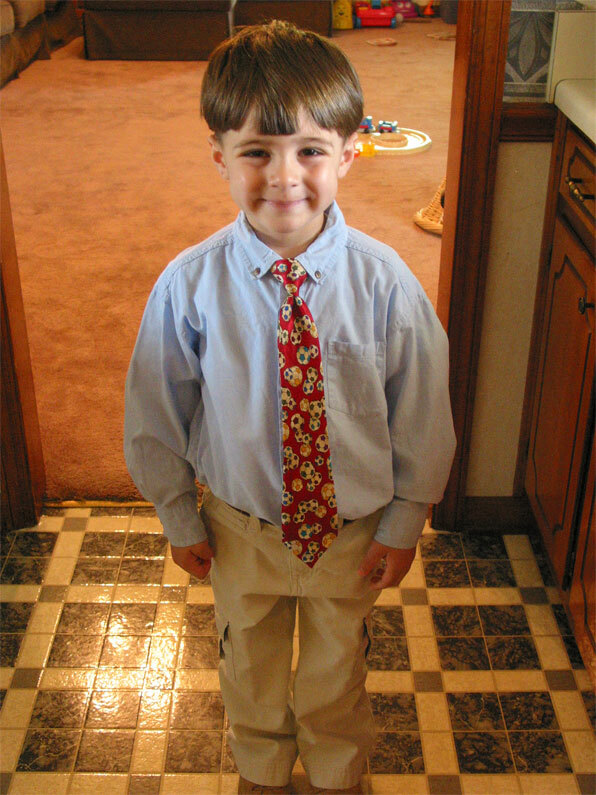 Conner in a tie! This was what he wore to church last week. It was appropriate to celebrate him scoring his first goal on the day before. He just looks so BIG here, it kills me. Zachary.... uh uh uhhhhh.. this boy!